Challenging the widely held notion of a hospice as a building or a place, this book argues that it should instead be a philosophy of care. It proposes that the positive and negative impact that space can have in the pursuit of an ideal such as hospice care has previously been underestimated. Whether it be a purpose-built hospice, part of a hospital, a nursing home or within the home, a hospice is anchored by space and spatial practices, and these spatial practices are critical for a holistic approach to dying with dignity. Such spatial practices are understood as part of a broad architectural, social, conceptual and theoretical process. 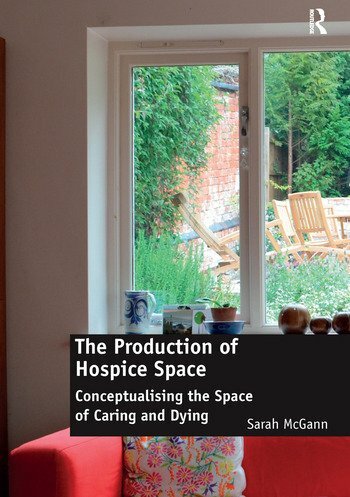 By linking health, social and architectural theory and establishing conceptual principles, this book defines 'hospice' as a philosophy that is underpinned by space and spatial practice. In putting forward the notion of 'hospice space', removed from the bounds of a specific building type, it suggests that hospice philosophy could and should be available within any setting of choice where the spatial practices support that philosophy, be it home, nursing home, hospice or 'hospice-friendly-hospitals'. Contents: Introduction; Situating the problem of hospice space; The question of the hospital; The question of the hospice; An Irish hospice; The production of hospice space; The unbounded hospice; Bibliography; Index. Dr Sarah McGann is Head of Department of Architecture and Interior Architecture, Curtin University, Australia.